JooTube.TV: Trump celebrated reunifying Jerusalem in Israel's interest 50 years ago. 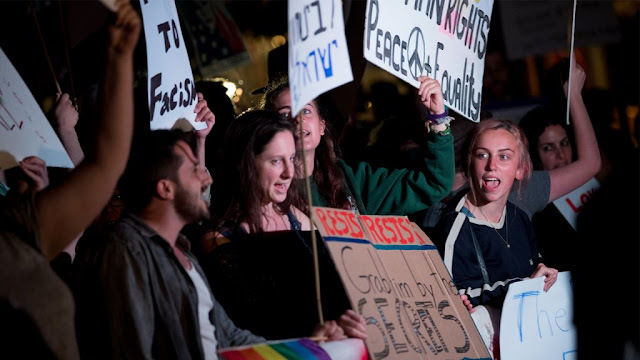 When will Jews reunify in our own interest? On his White House website, he spoke of visiting Jerusalem, Israel. Until now, American administrations have spoken of Jerusalem in a way detached from the State of Israel. Indeed, the Obama administration, under the leadership of Secretary of State Hillary Clinton, pleaded with the Supreme Court not to identify on passports Jerusalem with the country of Israel. 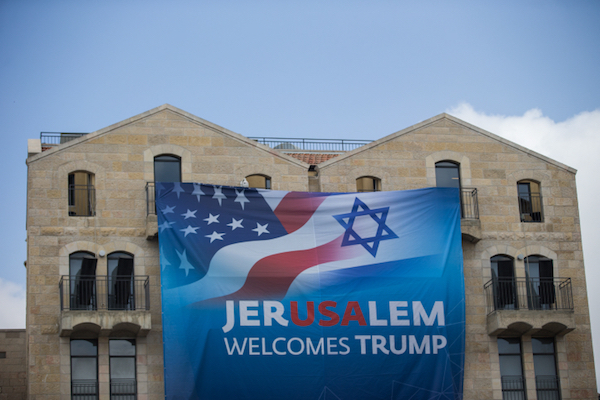 This week, Mr. Trump dissented: No more; Jerusalem is, for Mr. Trump's America, part of Israel. In his remarks he spoke of Jerusalem’s eternal association with the Jewish people. He went further and personalized his defense of the Jewish people and Israel by declaring that “never again” would the Jewish People or the State of Israel fear for the future; never, as long as there is a Donald J. Trump. Whereas Obama and Clinton seemed to wish to distance themselves and seemed embarrassed in association with Israel, Mr. Trump made it clear that as an American he and our nation feel closer to the ideals and perseverance of Israel than almost any other nation in the world. 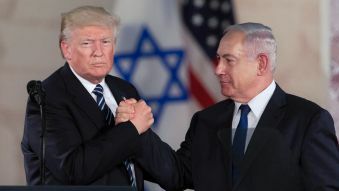 Mr. Trump didn’t merely recite pretty words, but conveyed sincerity and an affinity with Israel and the Jewish people that we have never before seen by any president. I have felt that Mr. Trump at this moment in our history is the best leader we have to lead our country forward and to right the wrongs of the past eight years. Second to that, as a Jew, and as someone who is in Israel’s corner, there is no question that Mr. Trump is an extraordinary gift. Jews who care about the protection of Jewish children, which is of great concern to Mr. Trump, and the survival of Israel, should do everything in their power to support this extraordinary friend. Those Jews who have spent the last eight months, and even today, trying to bring down this great friend of the Jewish people and Israel are demonstrating that Israel, the protection of Jewish children, and the needs of the Jewish people are not priorities to them, rather a distant third or fourth in importance. Their priority and obsession #1 have evolved over the years to leftwing politics, the hegemony of the Democrat Party, and faddish political correctness and mores: identification with political leftism. They have sold their soul to the devil of leftism and have redefined Jewishness in a manner that none of their forefathers ever could have envisioned... nor would they have understood or respected. Sultan Knish originator, Daniel Greenfield speaks on pro-Israel Pres. Trump, David Horowitz, publisher of FrontPage Magazine, which disseminates Mr. Greenfield's blog, "The Point." 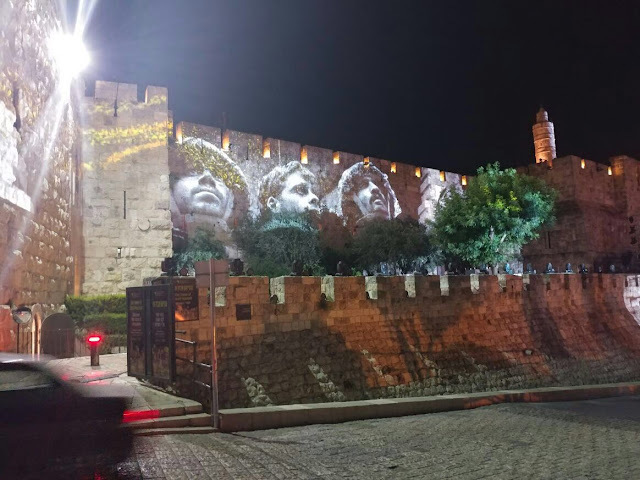 On the 50th anniversary of the reunification of Jerusalem, Jewish-American political analyst, Daniel Greenfield, reflects on American Freedom Alliance's Heroes of Conscience Award to author/activist David Horowitz. Mr. Greenfield remarks on Pres. Donald Trump's Middle East efforts to put Saudi Arabia on notice to reign-in their imperialistic extremist movement through international mosques and madrasas. Mr. Greenfield also addresses Jewish criticisms of Pres. Trump in his first 100 days. (2) Pres. 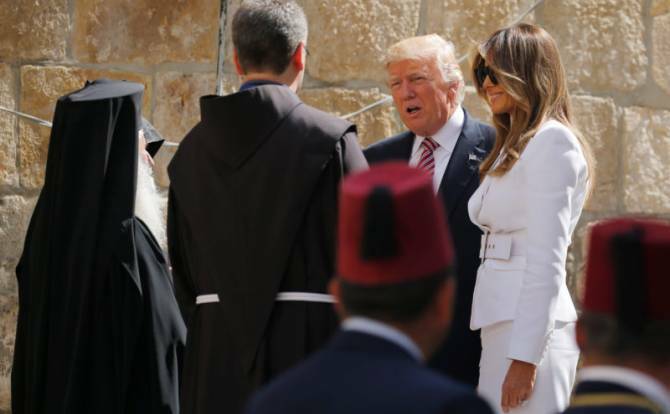 Trump in Israel stating that he has gotten back from the Middle East. Issues involving Saudi Arabia and Israel don't matter. Only the facile sneering does. Everyone "knows" Israel is in the Middle East from the late night talk show hosts to their equally well informed media counterparts. Israel is fundamentally different from much of a region in which civilization was overrun and destroyed by waves of Muslim raiders. Israel has a geographic position. But culturally it is the only nation that still encompasses a civilization based on its indigenous population, rather than the Arab Muslim invaders who wiped out civilization across the Middle East. Israel is what the Middle East should be. Saudi Arabia, where Trump had come from, is what the Middle East all too often is." British-American artist, Stewart Wavell-Smith, immortalizes Jewish GI hero, Holocaust-survivor Tibor Rubin, at VA Hospital renamed in Rubin's honor. A Christian veteran of the US and Israeli armies, Mr. Wavell-Smith hopes that Mr. Trump's presidency will spawn "a renaissance" of American patriotism and restore safety to the world, particularly the Middle East. Mr. Mike Gordon of South Florida's largely Jewish Vizcaya community (proximic to Mar-a-Lago) reacts to Jewish speaker, former NYC principal, Alan Bergstein, encouraging the (largely Jewish-American) current-events discussion group to unify President Donald Trump's administration. Mr. Gordon shares his frustration at the reflexive disdain many Jewish audience member express at listening to arguments for Mr. Trump's pro-Jewish, contra-Islamist perspectives and policies. Will we ever come together in our own best interests under this (or any) political leadership?